Providing support and easing the transition for employees returning to work can make a world of difference to attitudes and outcomes, argues Jennekin Dicks. People take extended breaks from work for various reasons – the obvious one is maternity leave (and yes, sometimes extended paternity leave), but it could also be to travel, to re-assess career motives, to undertake mature age study, to deal with serious illness or to process bereavement. In all likelihood, they are returning with a different outlook on life, with different routines and pressures, but also with memories of past experiences and hopes, which they will almost certainly be comparing their current reality to. All of this could contribute to a general feeling of uncertainty, whether verbalised or not. And let’s not forget that these very same questions sit in the mind of the employer also. When we allow this uncertainty to percolate, it tends to create myriad fear-based decisions, reactions and even non-action – by the person themselves and also by those around them. No matter how small those reactions are, they can alter the course and ultimately the outcome for that person in that business. An obvious example would be not stepping forward for or not being considered for a project opportunity, but it could be so many other things. So, uncertainty (and the assumptions that go with it) can be very damaging. Saying that we value people and that we don’t want them to feel uncertain, simply will not cut it. Writing a policy about supporting people when they return to work, is absolutely useful in developing and defining management attitude, but it is still not enough. No, specific actions need to be built into the fabric of the business, which deliberately and effectively create certainty. Colleagues tend to naturally say the things that create certainty in acceptance in the social group. However, top leadership have an additional opportunity in assuring her of her place of value in the business, as part of that first friendly hello. This could be done by mentioning past contributions and how she was missed while away, as well as a simple reference to her future in the business. The benefit: A leader taking the time to include this in a first social interaction, conveys greater sincerity than a formal mention only. A more formal welcome in an all-staff meeting may be perceived as a formality if done on its own and therefore will not be as useful in combating uncertainty. Ensure her work area creates no hold-ups on the first day back. Apart from the obvious furniture, phone and computer, take particular care to ensure an active server login and adequate access to any software platforms relevant to her. The benefit: This obvious forethought subtly tells the employee that their time is valuable to you and that you believe they can add value from their first day back. When people know that others see their value, they bring that value confidently. In contrast (and this is true for all of us), when we are uncertain about our perceived value, it becomes easier to blame external circumstances for slower or lower output – as opposed to our own diminished drive. Consider what has changed or happened in her absence. Are there new people or roles to introduce her to? Have new processes or online platforms been introduced? Have meeting structures been adjusted? Are there new goals in the business? The employee will need to be briefed adequately on all major changes. The benefit: The basic courtesy in bringing her up to speed is important, but it is also about recognising the value of her interaction within the organisation. Yes, she should know about new people and processes, but those people and processes could also benefit from HER contribution. 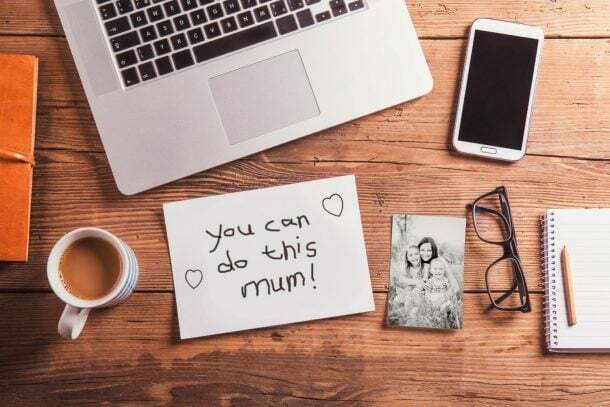 As capable as she might be, plan her work to be less pressured in the first couple of weeks, but be mindful to ensure that her day will be filled with meaningful work. One way to do this is to consider her existing skillsets and how this may contribute to others’ work in the first week or two. While it is good to give her at least some autonomy in this, it is equally important to plan and communicate this clearly to all, and to monitor the actual volume and type of work assigned. The benefit: When a person is first dealing with the pressure of navigating new and often clashing routines, the expectation of ‘hitting the ground running’ at work can create unnecessary and counterproductive strain. Easing this expectation will show understanding and care. Ensuring that the work is meaningful will communicate respect for her ability and an expectation of future contribution. Consider the methods the employee has used in the past to deliver on her best skillsets and where these methods may be impacted on now due to new personal pressures or reduced weekly hours. Then, consider how the same or maybe even better outcomes might be possible with the right kind of support and adjustments. Could a regular meeting be moved to a specific day to accommodate part-time team leaders? Could daytime methods of networking and marketing be encouraged as opposed to evening events? This should not be about the person’s adjustment only – they’ll be making plenty of those anyway. Your job is to consider what is not in their control and what can be done to help. The benefit: It can be isolating to be the one with different needs. When leaders encourage smart change to suit those needs, it not only eliminates that isolation, but builds a team culture for everyone involved. It also powerfully teaches all that there is great opportunity in change. With the future (and not only current workloads) in mind, consider what her most valuable contributions could be to the business. What does the business need? What are the unique risks and opportunities it faces over the coming years? What are the potential overlaps with her unique interests and potential career path? Once this is established, plan for a clear conversation on her return. Be careful not to simply deliver an expectation though. Rather, approach it as a two-way conversation to gauge interest and potentially agree on the most effective way forward. The benefit: We all wonder and worry about the future and this uncertainty can reduce our drive. When we are given an insight into what others believe is possible with our help, this energises us – not only in the work that achieves that particular vision, but also generally in all other tasks. Create a Return to Work Induction Form, with pre- and post-start components to prompt the type of actions described above. Consider who should be involved in managing the induction, from administrative support to Director level input and review. Most importantly, when assigning responsibility to the person who will be managing the process, clearly communicate the value you see in it, plus give that person the ‘authority’ to insist that top management treats the process as a priority in every instance. The benefit: Things get busy and before you know it, your employee is walking into the office for their first day back. Creating a well-thought-out and defined process, and backing it up from the top, ensures that your good intentions will become someone else’s positive reality. In conclusion, no returning employee should be left to simply ‘show up and get on with things’. This is littered with opportunities for uncertainty, lowered drive, friction and diminished outcomes for all involved. With a relatively small amount of smart, conscientious effort upfront, certainty can be embedded and a positive environment for engagement triggered, creating extraordinary short- and long-term wins for both the business and its people. Interested in understanding all of this in action? The author’s short story ‘Anna’s Return to Work’ describes an all-too-common initial experience and the surprising possibility that sits within change. Jennekin Dicks is the owner of Brisbane-based consultancy Management in Action. She is a former architect who changed career paths to help design practices access dynamic and fair progress. She does this with a ‘systems for people’ focus. She consults, writes, presents CPD talks and workshops, plus drives internal change projects for her clients. Specialised areas include profitability management, certified management systems (QA, OHS & Environment) and engaging staff in the Safety in Design process.